Are You Ready To Become The Strong, Confident, Healthy, Fit Dad Your Family Needs? and make it to the gym? Do you lack confidence with your shirt off? Are you too exhausted to play with your kids? Do you feel like you have tried everything but nothing seems to work? Do you think that "getting fit" is too complicated? Learn a fit and healthy lifestyle that is sustainable. A nutrition plan that's simple and easy to follow. Workouts can be done in 30 min or less with minimal equipment. This Dad Gained Some SERIOUS Muscle! The Project DadBod Training System is a 12 week Fitness, Nutrition and Healthy Lifestyle program designed to get results for busy dads just like you. Workouts are delivered to your device using our private GarnerFit App and includes videos guiding you through the workout, nutrition guides and the tools you need to track your results. You are NOT alone. Receive support and accountability from Sean and other dads in our private "Members Only" group. As a father of two, entrepreneur, and fitness pro who has averaged over 60 hr work weeks for the past 7 years, I can relate to other professionals with kids who really feel the burden of juggling all life’s demands. Even as a personal trainer, I've struggled to find a healthy and fit lifestyle while juggling work and home life. When a potential client harshly pointed out my small physique, I looked in the mirror and it hit me like a ton of bricks... I was being completely inattentive to my own personal fitness. Not only did I not get the client, but more importantly it stunned and embarrassed me. To be honest, I needed that rude awakening to make a lasting change. I took the time and found a coach that would hold me accountable to my nutrition, workouts, and progress. It's one thing to know what to do but another to put it into action with the daily disciplines required. Finding a good coach made all the difference. I dramatically reduced my body fat and gained muscle that I never had before. As a result, I learned to utilize that same discipline and confidence to not only create a sustainable plan for my health and fitness, but also to become more productive in my work hours and still get in quality time with my wife and kids. We offer everyone a 100% risk free, 30 day money back guarantee. 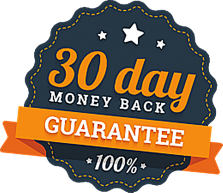 We take our coaching very seriously, which is why we offer a 30 day money-back guarantee. If you work with us for 30 days and feel like Project DadBod didn't delivery the value we promised, just let us know and we’ll give you a full refund and require no additional payments. Our entire business is built on getting results for our clients. If you invest in us, then you can be confident that we’ll invest in your success and satisfaction. Hey... I get it and am with you! When you have a career and family, the days of spending hours in the gym are long gone. Workouts are built to your schedule needs. I recommend a commitment of at least 30 minutes, 3 days per week. I Have Tried Everything. Will This work for me? So often, guys bounce from diet to diet or exercise program to exercise program. And most men tell me they can find the energy to be disciplined in one area but when trying to find discipline and consistency in multiple areas- nutrition & exercise they fail. We will walk you through the process and hold you accountable. Additionally all of your workouts and nutrition is tracked along with your goal progress. With tracking and close communication with us, we can make adjustments necessary as you go to ensure your results. Will This Be Too Difficult For Me? Programs are designed for busy, high performers. The workouts will build you up not beat you down! I Have Injuries. Can I do this program? Having worked with athletes and former athletes, I've made it a point to become an expert in joint friendly movements. Not only will your program be customized to any limitations you may have from prior injuries but I will also include mobility and recovery work to improve your range of motion and joint health. The Project DadBod Training System only uses Dumbbells, Resistance Bands, and your Bodyweight. This Sounds Awesome! Will I have to sell one of my children to cover the cost? For a fraction of the cost of personal training, you will have an all access pass to the program, and America's Favorite Coach, Sean Garner! You Can Start The Transformation You Have Always Wanted TODAY!